Basic alert: Autumn is our favorite. We love our cozy sweaters, moto jackets and velvet dresses, but we don't really love how we already wore out our go-to looks last year. In the spirit of a fresh season, we got to thinking about brand-new ways to wear our favorite September pieces. So sit back, relax and let these super-stylish ladies inspire you with 30 days’ worth of outfits. It might be fall in our heart, but unfortunately Mother Nature hasn't exactly gotten the memo yet. Bridge the gap between summer's lingering heat and the desire to break out your new fall wardrobe by pairing a light slip dress with a cool denim jacket and furry slides, like Coterie member Monroe Steele. Real talk: Shorts can feel really difficult to pull off if you're no longer a teenager. But flowy pairs that could almost masquerade as skirts aren't just comfy; they're flattering, too. News flash: Red is the hottest color of the season. Start with a small statement. Just because you originally bought them for the office doesn't mean your tailored pants can't come out on the weekends. Keep it breezy and comfortable with a soft concert tee and flat sandals. Breathe new life into a basic black skirt by topping it with a whimsical short-sleeve button-up. Finish with a super-trendy wide belt. Mixing Patterns 101: A miniature floral print and big, bold blooms are a match made in heaven if you stick to one color palette. Sleek, slim-fit booties with a narrow heel keep multiple flowy items from overwhelming your frame. 'Tis the season for all things denim, especially if those things come in a classic dark rinse. Let your deep blue jeans steal all the focus by keeping all accessories minimal and black. Play with proportions (and beat that lingering hot summer weather) by pairing an oversize dress with a tiny satchel and thin strappy sandals. Curious how to transition your vibrant summer florals into fall? Pair them with crisp, classic pieces in very dark shades like navy, charcoal and black. To hell with the “rules.” Of course you can wear sequins during the day! Just be sure to keep all elements of your look simple in unfussy fabrics like cotton, chambray or linen. So, you're bored to pieces with your summer work wardrobe but not quite ready to break out your pantsuits just yet? Meet your new office uniform: a '50s-inspired shell, classic midi skirt and pointy-toe pumps. You're welcome. Give your sleeveless dresses staying power by layering them over button-downs and puffy long-sleeve tops. Two of fall's biggest trends combined into one killer look. Sleek sock boots give off less of a heavy, winter-ready vibe than other styles, making them a perfect partner for delicate buds. This über-fun waist style will be popping up all over the place this autumn, so hop on the trend early and solidify your status as the fashionista of your group. Treat your favorite button-front dress like a jacket for twice the wear. 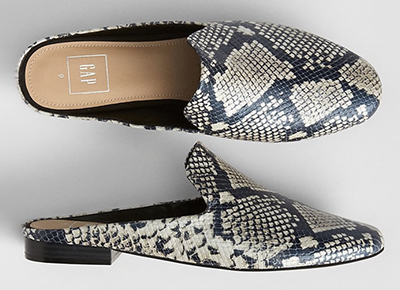 Jeans and flats help even the fanciest versions feel much more low-key. A ladylike bandanna keeps things elegant while chunky heels keep things fun. One of the coolest footwear trends of 2018 is bold solid-colored ankle boots. And one of the coolest ways to wear them is with an ultra-girly dress complete with ruffles, puffy sleeves and a bow at the neckline. Who says you can't rock gingham through fall? The trick is to wear it in small doses—kitten heels are just the right amount—and pair it with cool-weather styles like plaid and trendy burnt orange. Take denim-on-denim styling to a new level with a long, lean jean jacket. We all have that one frock that makes us wonder, "Is this too short on me?" but here's a handy dandy trick to making it feel significantly more wearable: Layer it over a pair of flowy pants and voilà! A cool color-blocked outfit is born. Another print taking its moment in the spotlight this season is tie-dye, but don't break out your old camp T-shirts just yet. Muted neutral hues are a much more grown-up (not to mention stylish) way to go. This unexpected animal print surprised us as one of the most popular materials for fall. Give it a moment to shine by keeping the rest of your look neutral. In other words, check your love of pattern mixing at the door. It's not quite jacket weather yet but, by George, we're ready to break out our motos, bombers and trenches! Get your outerwear fix by belting a blazer over a dress for work. Don’t stow away your beloved off-the-shoulder top just yet. Wear it over a thin turtleneck for a cold-weather look that’s just as stylish. One of the best pieces of fashion advice we've ever heard is to always add a third piece. In the case of Coterie member Olivia Jeanette's latest look that meant topping things off with a trench-inspired vest that we're falling head over heels for. The season of velvet is finally upon us. Give your favorite dress (no, yours doesn’t have to be open-paneled) a daytime vibe with sharp booties instead of heels. If you’re wary about trying the dress-over-pants trend, opt for a long sweater instead. Layering one over jeans feels more natural but has the same cool look.